"Gaining a psychological edge over your opponent is a vital part to any fight. 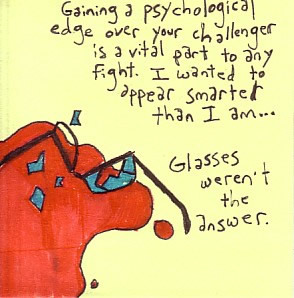 I wanted to appear smarter than I am... Glasses weren't the answer."